Chambre à peinture A. G. inc. specializes in the manufacture and installation of all types of spray booths. With more than 37 years of experience in the industry, our team is best able to meet all of your specific needs. 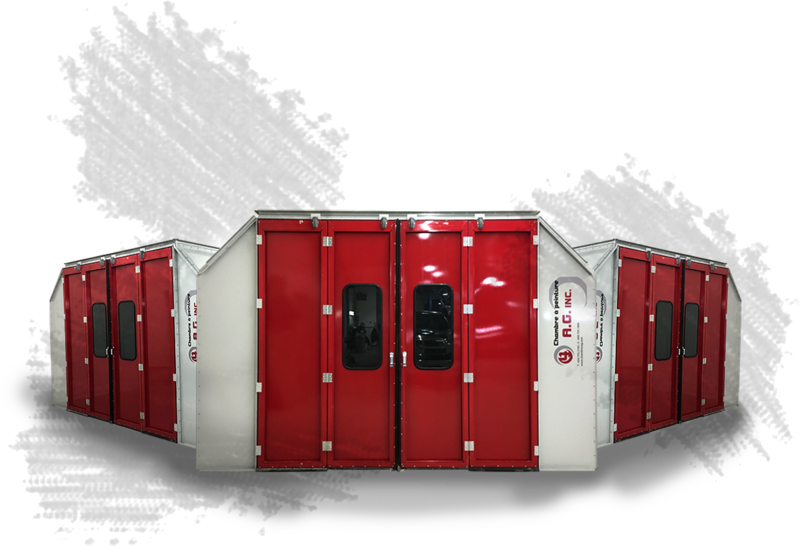 We build paint booths that meet all Ministry of the Environment norms, as well as all NFPA 33 standards. These manufacturing standards enable us to provide our clients with a high-quality product at a competitive cost. 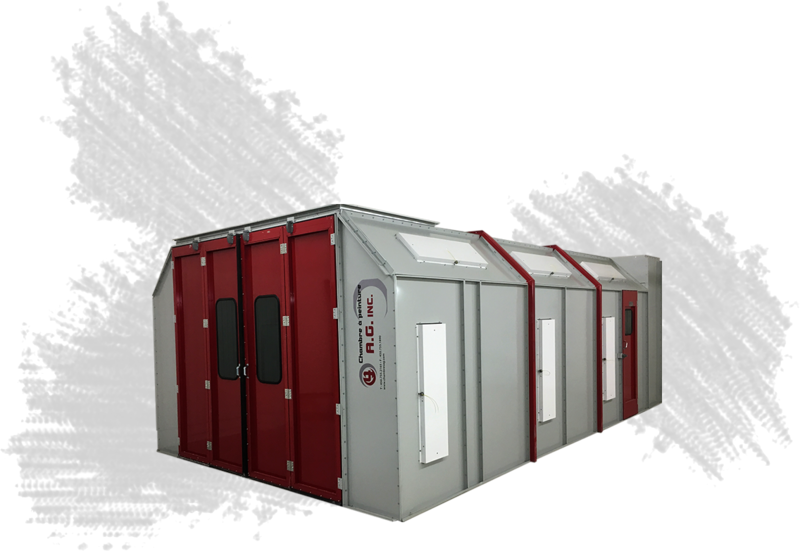 To build customized booths, our highly qualified sales staff will work in close collaboration with your team to best determine your company’s needs and what solution will maximize your productivity. As a family business, we understand the importance of client care. That’s why our team works together to guarantee a most satisfying client experience every time. It is this belief in the quality of our product and our commitment to client satisfaction that helps up keep pace with the competition. WE DELIVER ANYWHERE IN QUEBEC AND ONTARIO! Don’t hesitate to contact us with any questions you may have about your project. Our experts are always on hand to help. Get a free estimate!Free estimate!